My husband always says “thoughts become things” and very often he is right. Recently I taped a tear out of a handbag I liked on my bathroom wall so I could admire it everyday. I would see it in the morning and imagine how beautiful it was in person. This week I wandered into Nordstrom on my lunch hour and there was the bag, front and center, screaming look at me! How beautiful in person indeed. Of course I had to take it home and am in love. It is the perfect camel color that will go with everything, not too green, not too pink. It has a center pocket divider which is a feature I look for to help keep things organized (why don’t all bags have this?). And the best part is the chain can be worn doubled over your shoulder or as one long strap for a crossover body style. Win Win. Designed by Rebecca Minkoff, this is the perfect size bag with all the right features. It even inspired me to reorganize my closet to give it a proper home! 18 Jul	This entry was published on July 18, 2014 at 8:00 am. 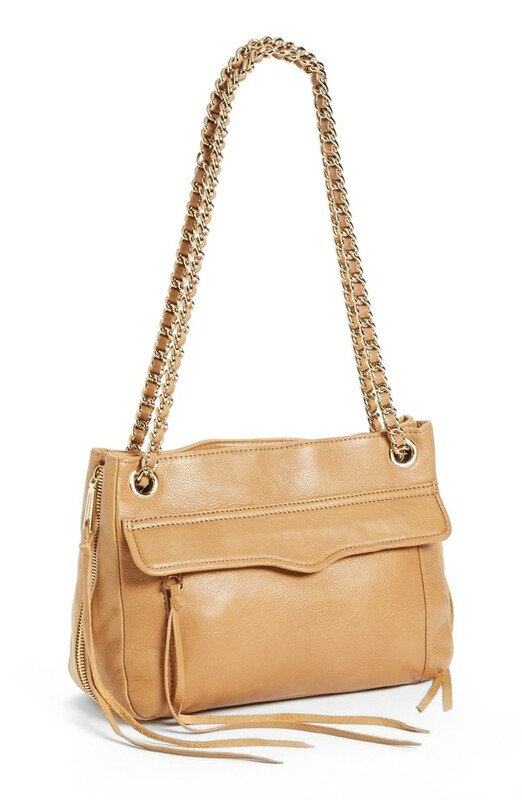 It’s filed under Style and tagged Perfect Camel Handbag, Rebecca Minkoff Swing Shoulder Bag. Bookmark the permalink. Follow any comments here with the RSS feed for this post.